Libra is the second zodiac sign. Libra-born individuals are born in the dates between September 23 and October 22. Libra is symbolized by the Scales, the only nonliving object in the zodiac circle. The symbolism of the scales of balance also plays a major role in the overall Libra zodiac personality. Libra is a seeker of balance and has a very strong sense of justice. Among the twelve zodiac signs, Libra is believed to be the most trustworthy. Zodiac signs are very important in astrology. The zodiac signs are assigned their own ruling planets. Some zodiac signs may have the same ruling planet. In the case of Libra, the ruling planet is Venus. Venus is associated with fertility, warmth, loyalty, and enthusiasm. In addition, zodiac signs are also believed to carry one of the four elements which make up the universe. These four elements are water, fire, air, and earth. The element gives the general temperament of a person under a given birth sign. Libra is under the air sign which bestows the Libra zodiac sign with an extrovert temperament. The Venus-ruled air sign of Libra also has a very big influence when it comes to predicting Libra compatible signs and Libra personality traits. The term “zodiac sign” is also called a sun sign, star sign, birth sign, astrological sign, or a planet sign. Every zodiac sign will have its own sets of personality traits. The personality traits are all based on the combination of the ruling element, planet, and modality of each zodiac sign. The key personality traits of every zodiac sign are then used to come up with astrological compatibility cusps or charts. These compatibility charts will give the most likely outcomes of relationships between two different astrological sign pairings. The most popular astrological tool, the horoscope, is also related to birth signs. The horoscope is used to predict the future. In compatibility love matches, horoscopes take into consideration the twelve zodiac signs and the key personality traits inherent in each of the zodiac signs. Tracking and charting the movement of the sun in relation to the stars will produce the figure of an “elliptic.” If this elliptic is tracked and charted for a full year, then the unique layer of sky on the elliptic zone yields the “zodiac.” Any thirty-degree arc measured from the zodiac circle is a specific zodiac sign. Therefore, the zodiac sign of an individual is the specific position of the sun (with respect to the stars) during the time of year when that person was born. Famous personalities who were born under the Libra sun sign: Richard Gere, Whitney Houston, Nicole Kidman, Alicia Silverstone, Charlton Heston, Tim Robbins, Susan Sarandon, Dwight D. Eisenhower, John Lennon, Julie Andrews, Mahatma Gandhi, Thomas Wolfe, Truman Capote, Niels Bohr, Jeff Goldblum, Matt Damon, Walter Lippmann, Michael Douglas, Catherine Zeta-Jones, and Monica Bellucci. The Libra personality traits are associated with the element of air in Western astrology. 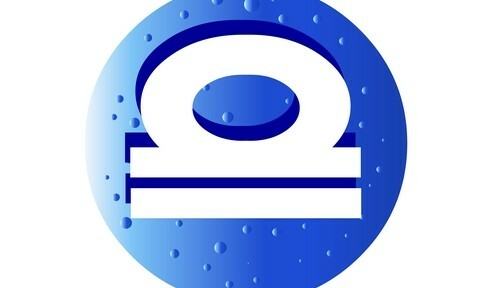 This element gives rise to the characteristic openness, intellect-driven, and expressiveness exhibited by a typical Libra. Symbolized by the Scales, the Libra zodiac sign is characterized by an extroverted personality who values commitments and the opinions of other people. By nature, the Libra is a true arbiter who will always lean towards whatever he or she thinks is right. The Libra has a very keen sense of justice. Moreover, a Libra possesses a vibrant and magnetic personality coupled with an air of diplomacy. The Libra is also said to be a naturally imaginative individual, too. This has something to do with having Venus as its ruling planet. There are so many writers, musicians, and painters who happen to be born under the sign of Libra. Stephen King, E. E. Cummings, Oscar Wilde, F. Scott Fitzgerald, Graham Greene, D.H. Lawrence, T. S. Eliot, Ursula K. Le Guin, Arthur Miller, and William Faulkner are just some of the few Libra-born individuals who excel in the arts and literature. In business and career, the typical Libra will not exert that much hard work. A Libra’s success in business or his or her profession is normally attributed to the incredible intuition and diplomatic ways inherent in the Libra zodiac sign. A Libra will essentially make a great business partner but not a businessman. Thus, artistic endeavors are the avenues to success for a Libra because of his or her imaginative side. Many of the world’s best storytellers and writers are born under the sign of Libra. Their strong intellectual side coupled with a remarkable imagination turns them into great writers, painters, and artists. The weakness of a typical Libra is his or her tendency to please other people. This results to the Libra’s inability to define his or her sense of self unless there are people around to either offer praise or criticism. The Libra zodiac personality generally revolves around the continual search for balance or harmony. This makes the Libra sun sign the most trustworthy of all the signs in the zodiac circle. The classic Libra personality traits are always characterized by diplomacy, empathy, and charm. They excel at imaginative and creative pursuits because of their intelligence. Another classic Libra trait is the love for luxury and beautiful things. A Libra might fuss constantly when it comes to his or her appearance. The Libra zodiac sign is also very outgoing and extrovert sign that will go to lengths to please people. In terms of temperament, Librans usually do not trust most people easily. When it comes to their extremely easygoing nature, they tend to end up as underachievers. They do not aim that high and are usually contented with whatever comes their way. Libra-born people are stimulated to react to situations and things if and only if they feel that an injustice has been done to them. If they feel that they have been wronged or the circumstances are unfair to them, then they stand up and fight for what they think is right. The Libra personality traits of constant socializing, rational-thinking, tolerance, and level-headedness may not likely do well with the fire sign of Aries. Aries-born individuals have a tendency to stir things up. The Libra, on the other hand, will always strive for harmony and balance as represented by the Scales. Cosmically speaking, Aries is definitely not one of the Libra compatible signs but certainly far from it. An Aries will find the people-pleasing nature of a Libra to be too annoying. This pairing will most likely start off as a very passionate affair due to the excellent physical chemistry between a Libra and an Aries. During the early stages of the relationship, they will certainly feel that they were made for each other. But when their staggering incompatibilities will rear their heads later, then the relationship will eventually not last very long. The Aries and Libra relationship might work if both parties will make a conscious mutual effort to tolerate each other’s differences. 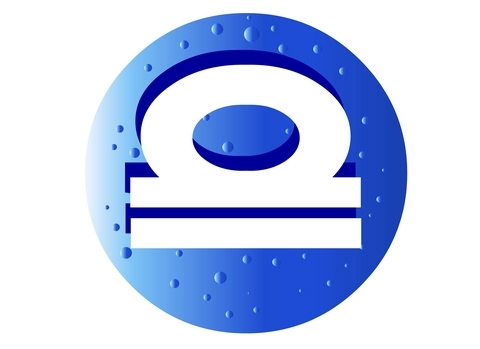 The Leo Libra compatibility is a feasible cosmic arrangement and is considered to have a very good compatibility. These two astrological signs are characterized by their socializing tendencies and sense of romance. The Libra is accommodating enough to tolerate the stubbornness of a typical Leo. Moreover, the Libra Leo compatibility also takes enormous pleasure in extravagance, adventure, and passion. It is inevitable in this pairing that the charisma of a Leo will draw the Libra zodiac sign to back down whenever arguments or disagreements between the two will ensue. A Libra and a Leo shares a very strong creative and artistic side. In this pairing, the dominant Leo will almost always lead and overwhelm the ever indecisive Libra sun sign. Libra and Leo will also compete in many ways, too, in order to get the attention that they want for themselves. The prospect of Leo Libra compatibility is actually wonderful but it may certainly have its rough moments. The Libra zodiac personality has a strong sense of justice; he or she might be subsequently put off by the egotistical and overbearing behavior of a Leo. The Gemini Libra compatibility is ideal and is considered a remarkable combination. They will share deep rapport because these two sun signs have flirtatious personality traits. The Libra Gemini compatibility is also a perfect one because the two birth signs carry the air element so they will share a light approach to life in general. Moreover, Gemini and Libra are extrovert signs so their relationship will be a series of lively socializing with many new people and they will be surrounded by numerous friends. The only possible rift might be in Gemini’s playful outlook when it comes to relationships. But all in all, a strong and happy marriage is expected in this pairing because Gemini is certainly one of the Libra compatible signs. The pairing of a Libra and a Cancer is at best, average, in terms of birth sign compatibility. The relationship will certainly endure and become enjoyable for the two if the cosmic timing is right. Cancer bears the element of water. Libra, on the other hand, is air. Their strong compatibility is in the modality of their signs; Cancer and Libra are cardinal signs. Cancer fixates on the emotional aspect when meeting new people, but a Libra zodiac personality takes socialization with a very light approach. A typical Libra will even find a Cancer to be too emotional. The Libra sun sign is always seeking for a deep partnership while a Cancer is motivated by creating a secure and comfortable home. This pairing is certainly a compatible match because of their shared interest to build a harmonious home. Their potential clash will be in Libra’s frequent socializing which a typical Cancer will not be able to relate to given the Crab’s penchant for intimate small gatherings and homeliness. The prospect of a Libra and Cancer pairing will result to an affectionate and enjoyable relationship if tolerance and mutual respect is exercised by both parties. The Libra Virgo cusp is rife with incompatibility because of their clashing personality traits. Virgo and Libra have the worst compatibility because they will always find it very difficult to understand each other’s temperament. The typical Virgo is not fond of socializing and will normally stay at home, while a Libra zodiac personality is extroverted and will always find it enjoyable to meet new people. The only possible way to make this love match work is to have both the Libra and the Virgo understand the opposing inherent traits of their birth signs. The relationship between a male Virgo and a female Libra will not work due to his frequent nagging and pessimism towards her penchant to socialize. In a female Virgo to a male Libra, a poor love match is also expected. This relationship will be quite a tug-of-war because of his need to be admired and her need for security. A typical Libra is known for not prioritizing practicality and security. On top of that, the male Libra is also quite emotional which will clash greatly with a female Virgo’s emotionally detached demeanor. This compatibility match will most likely lead to having the Libra and the Virgo hate each other in the end. The Libra zodiac compatibility with Taurus will be definitely in the areas related to the arts and music. Libra and Taurus are both strongly drawn to these creative fields. Aside from music and arts, they do not have that much in common. The Taurus, by nature, is normally the person who wants to take charge and is always determined to accomplish a certain goal. The Libra zodiac sign, characterized by a taut sense of justice, will constantly find a Taurus bereft of romance. Moreover, the outgoing Libra will also look at the practicality and penny-pinching ways of a Taurus as annoying traits. In turn, the Taurus will be enraged by the flighty ways and the lack of commitment of a typical Libra. At some point during the course of this relationship, the Libra and the Taurus might discover a common ground because they share a compassionate side. With conscious effort from both parties, the Libra Taurus pairing might have a chance of eventually working out. Scorpio is not one of the Libra compatible signs. As a matter of fact, Libra and Scorpio are strongly incompatible. The Libra Scorpio cusp is an unbalanced and a dangerous combination. Scorpio is water sign ruled by Mars, the god of War. Libra is an air sign governed by Venus. A typical Scorpio takes things seriously; he or she is possessive and emotional — qualities which will certainly not mesh well with the flirtatious and level-headed nature of Libra. In this pairing, the Scorpio will be hurt by the emotional detachment of a Libra, and a Libra will feel trapped because of the clinginess and jealousy of the Scorpio. The Libra Scorpio cusp is rife with moments of heated arguments. All in all, a serious amount of mutual effort from both parties can make these two birth signs stay together within the confines of a relationship. The cardinal air sign of Libra and the cardinal earth sign of Capricorn will blend well and will have good chances at securing a stable and enjoyable relationship. Although the Libra Capricorn cusp share only an average compatibility when it comes to a love match, these two birth signs have the intensity to overcome the differences in their personality traits. A typical Capricorn will not be wowed by the charisma inherent in the Venus-ruled Libra zodiac sign. The Libra, on the other hand, will be swept up and intrigued by the emotional depth of a Capricorn. Their obvious common ground is in their penchant for intellectual stimulation and how they value commitments and relationships. A harmonious cosmic balance is easily achievable between these two astrological signs even though they have rough moments. The pairing between the expressive and highly extroverted Libra sun sign and an adventurous Sagittarius might work out fine if both parties can make an effort to respect each other’s differences and to complement each other’s weaknesses. Boredom is not an issue in a relationship between a Libra and a Sagittarius because the Sagittarian’s outgoing ways will constantly endear him or her to the Libra. The adventures of Libra will not perk the interest of the Sagittarius at all. Libra-born individuals have a strong sense of right and wrong. Moreover, Librans display cleverness. Intellectual stimulation is very appealing in the eyes of a typical Sagittarius. Lively discussions with the Libran mate will stimulate a Sagittarius. Both astrological signs are characterized by carefree ways and active socializing with new people. The major difference that might seriously affect the relationship of a Libra and a Sagittarius is a Libra’s placing an importance to end up with a reliable partner. The Libra zodiac sign takes relationships quite too seriously. If a Libran can understand the flirtatious ways of a typical Sagittarius, then this love match has all the chances of becoming a strong and enjoyable relationship. As a matter of fact, the Libra Sagittarius cusp has the best compatibility. The Libra Aquarius compatibility is a match made in heaven. Cosmically speaking, these two astrological signs share a deep connection. Aquarius Libra compatibility will be a relationship filled with enjoyable extroverted ideas like socializing with many new people, enjoying adventure-filled trips together, and mingling with their numerous friends. This pairing will be characterized by a high level of excitement when it comes to exploration and a meeting of minds. Their differences will come into play whenever criticisms and public opinion are present. The quirky and stubborn demeanor of an Aquarius will take lightly whatever criticisms that he or she may get. A typical Libra, on the other hand, will take cruel remarks and criticisms very seriously. But this pairing is definitely an inevitable road to a happy marriage. Libra and Pisces have a considerable degree of compatibility when it comes to a love match because they share many common interests and their differences complement what is lacking in the other. The Libra zodiac personality always seeks balance. This inherent Libran quality will lend an air of stability to the fickle-mindedness and flightiness of a Pisces. The Libra sun sign can certainly teach and guide a Pisces mate, but he and she can only do so much to steer a temperamental and dreamy Pisces. In the Libra and Pisces pairing, the impracticality, clinginess, and mysticism of Pisces will smother the judgmental nature of Libra. There will come a time when the Libra will grow tired of the dependency of the Pisces mate. The Libra will then eventually explore other areas of interest. The Libra Pisces love compatibility can be harmonious and enjoyable as long as both parties prevent heated discussions as much as possible.